Rooms were clean. Staff very helpful. Good value. Great access to everywhere. Good free breakfast with eggs. Staff was super fun and helpful. Location was great too. 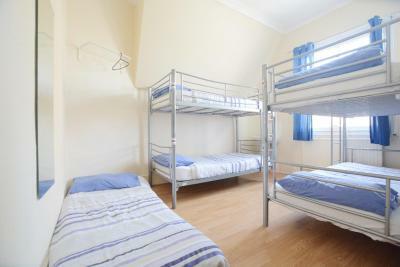 Location was safe, clean room, shared bathroom clean and no frills, basic but good for one night in London. It was relatively clean. I wasn't too worried about bed bugs or anything like that. STAFF WAS GREAT AND HELPFUL. BREAKFAST WAS GREAT FOR ITS VALUE. CLEAN FACILITIES. Pleasantly surprised at how this very personable hostel makes you feel pretty cared for and helpful. Met some nice fellow travelers and recommend this place. One of our best sellers in London! 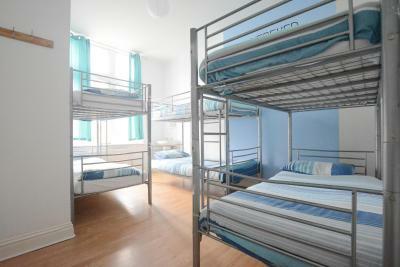 Located between New Cross and New Cross Gate Underground Stations, this hostel features public parking 1-2 minutes' walk away. 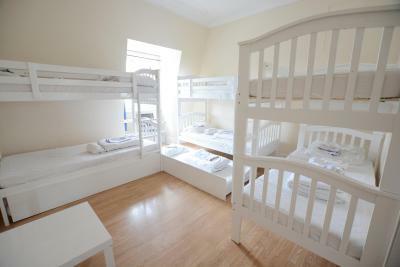 It offers budget accommodations with free WiFi, and breakfast each morning. 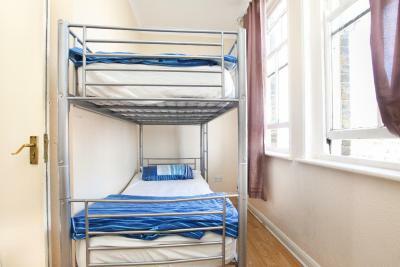 The dormitory rooms at New Cross Inn Hostel have bunk beds and a sink. 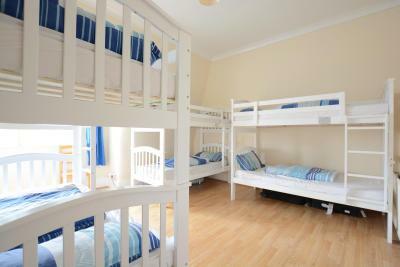 Private rooms are also available, and there are plenty of shared bathroom facilities. 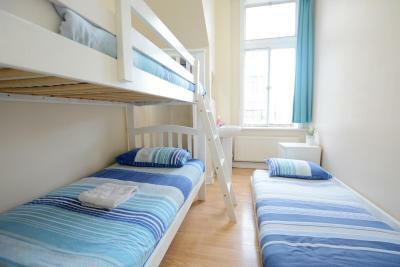 Laundry facilities and lockers are also available. Continental breakfasts are served daily, and there is a guest lounge area with a fully equipped kitchen featuring a refrigerator, oven and microwave. The lounge also has sofas, a TV and a selection of books. 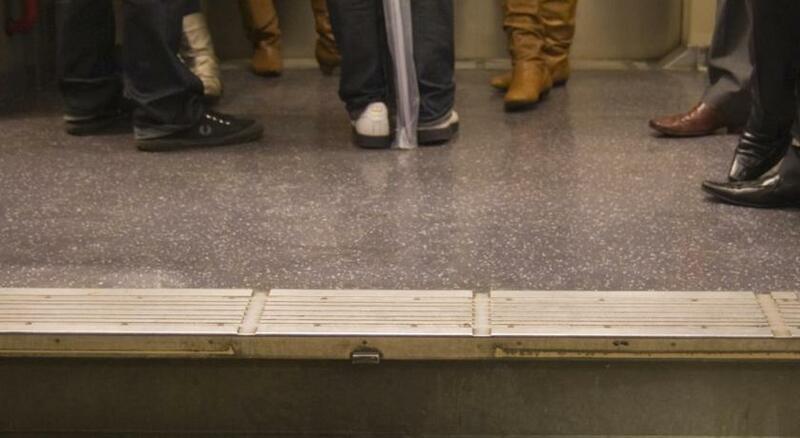 Just a 5-minute train ride from London Bridge, The New Cross Inn Hostel is only a 10-minute drive from The O2 Arena. 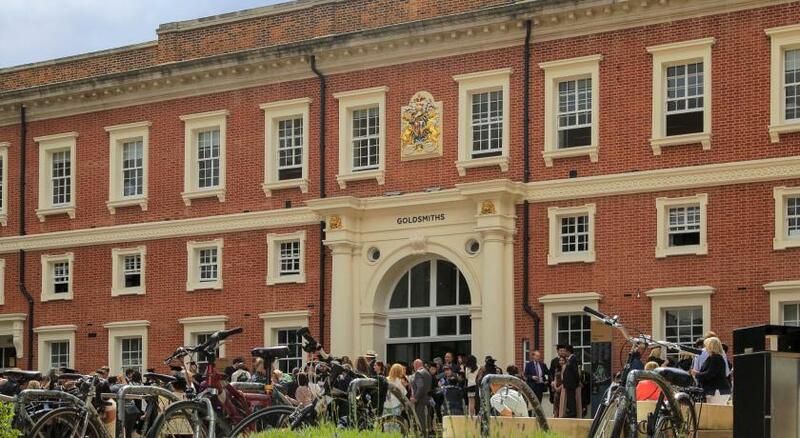 Greenwich is just over a mile away, and Shoreditch is a 25-minute train ride from the property. 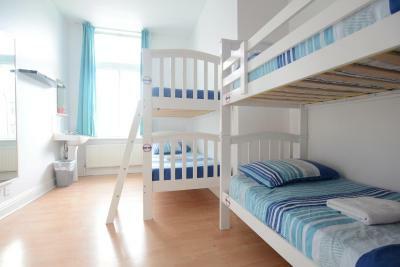 When would you like to stay at New Cross Inn Hostel? 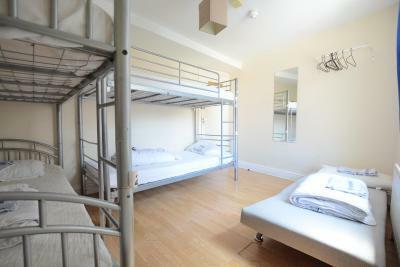 Basic room with shared bathroom facilities. 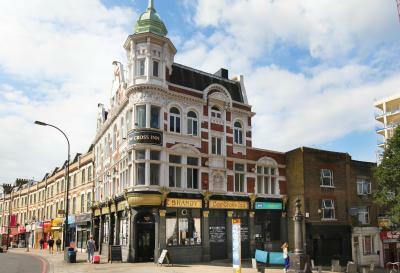 New Cross Inn Hostel is one of the friendliest and fun-filled hostels in London run by young energetic team full of dedication and commitment. 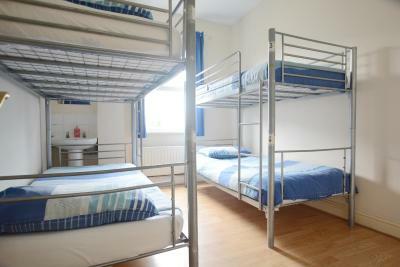 If you’re coming to town for holiday, to study or work this could be the place for you. 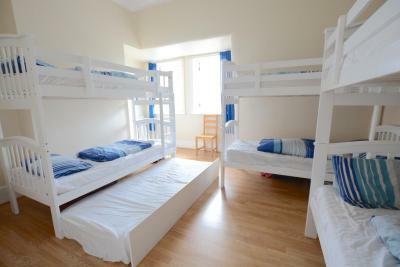 Our unbeatable prices, many free facilities and helpful staff present fantastic value for money. House Rules New Cross Inn Hostel takes special requests – add in the next step! New Cross Inn Hostel accepts these cards and reserves the right to temporarily hold an amount prior to arrival. Please note that the New Cross Inn requires photo ID upon check-in. 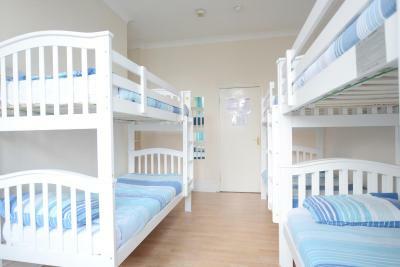 Please note that extra beds are subject to availability and to the room type selected. 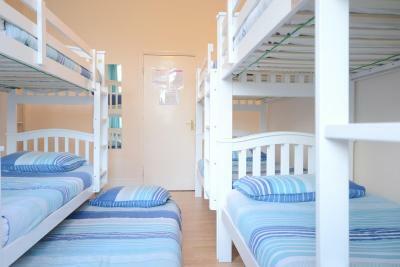 Please note that only children aged 6 years and under cannot be accommodated at the property. Guests should request if they want a quiet room. 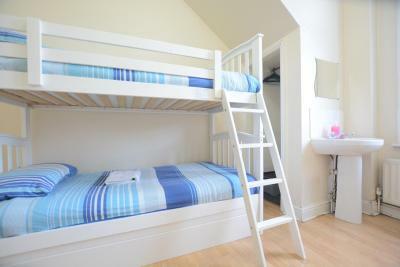 Please note for shared dormitory rooms, the property can only accommodate guests between 18 and 40 years of age. For all reservation of 8 or more guests a prepayment of 50% will be charge on the credit card and will not be refunded. I think they should fix their carpet on stairs. Its the first thing u see and people start to judge. The common room is so tiny that you cannot take the breakfast in good conditions. It was always overcrowded so that I cannot eat something at all. The deck is so below that it is impossible to sit on the top of the bunk bed. No ventilation in the bedroom, you are obliged to let the window open to get some new air. Bathroom very old. Friendly staff. 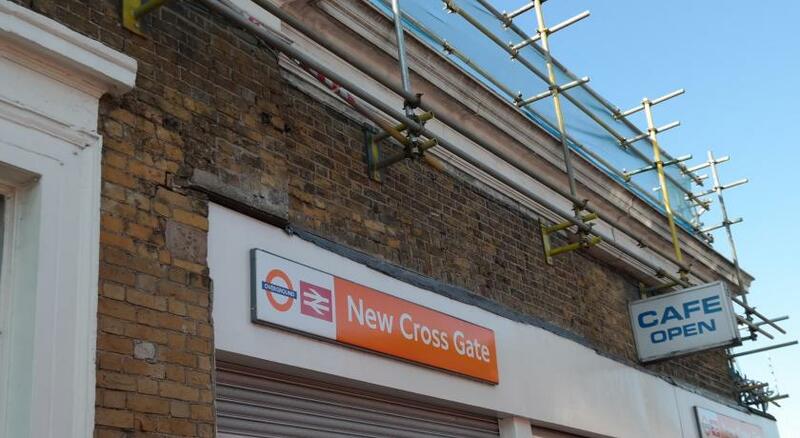 Closed to new cross gate Station. For London you can take care of your budget anyway. The water stream in the shower was weak. I liked the staff. The location was pretty nice, close to bus and train stations, as well as super markets and food places. They clean the rooms, take out the trash and change towels. Room was clean and tidy. Staff were very friendly and helpful. Cleaned common areas, good breakfast, you could also use kitchen. Although room was small we were only using it as a place to sleep and the mattresses were really comfortable. We all slept well. 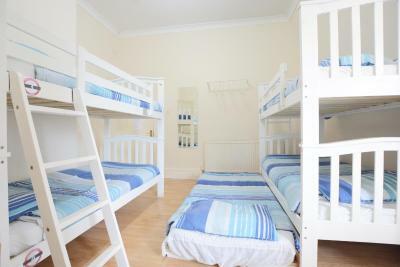 It was a great place for cheap accommodation to access O2 arena as is near station. Rooms were clean. 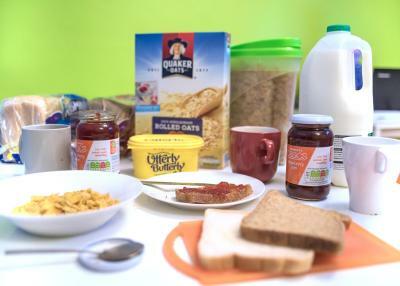 There is a common room where you can get breakfast but we didn’t use this. The building was old. There us a pub in the 1st floor and the noise from the music was too high. Clean room and bathroom. Friendly staff. Perfect location for public transport.